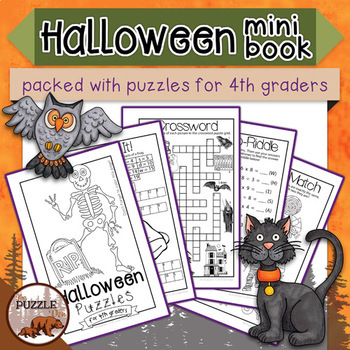 This pack contains 15 mini puzzles designed for fourth graders. Each puzzle is a half page in size, so two to a page. Simply print out the sheets, cut them in half along the gray center line, and staple them together. Instructions are included with the download. 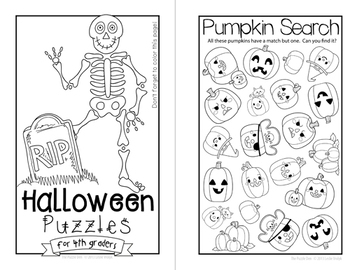 This would be a great activity book to send home for kids and parents to work on together! 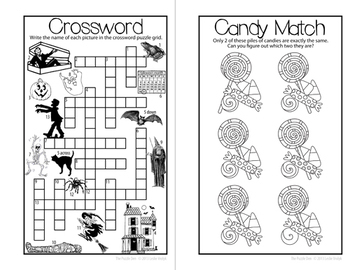 It would also be fun to hand these out at a Halloween party with a treat stapled to it! 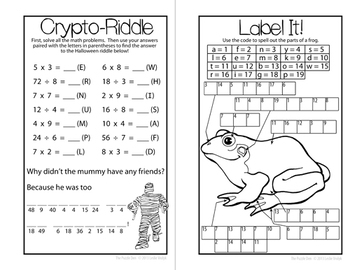 Students will have a blast solving these Halloween puzzles! And while they do that, they will also be practicing math, language skills, thinking skills, and learning about science...and not even realize it! Check out these other grade levels and a Bundle of all 6!